Denmark's Mikkeller Brewing has a San Diego Brewery too. Brand New Normal Berliner Style Weisse Ale was brewed there. The can features the Mikkeller cartoon guy with nine different hair styles. I gave the can to my 15 year old (after it was empty) for some ideas! Canned on 2/2/2017. 3.2% alcohol. Lemony tart aroma, salty, briney. Nicely tart flavors come first as well but definitely on the tame side. Lemony, nice twang, citric, more tartness. Really like this style. 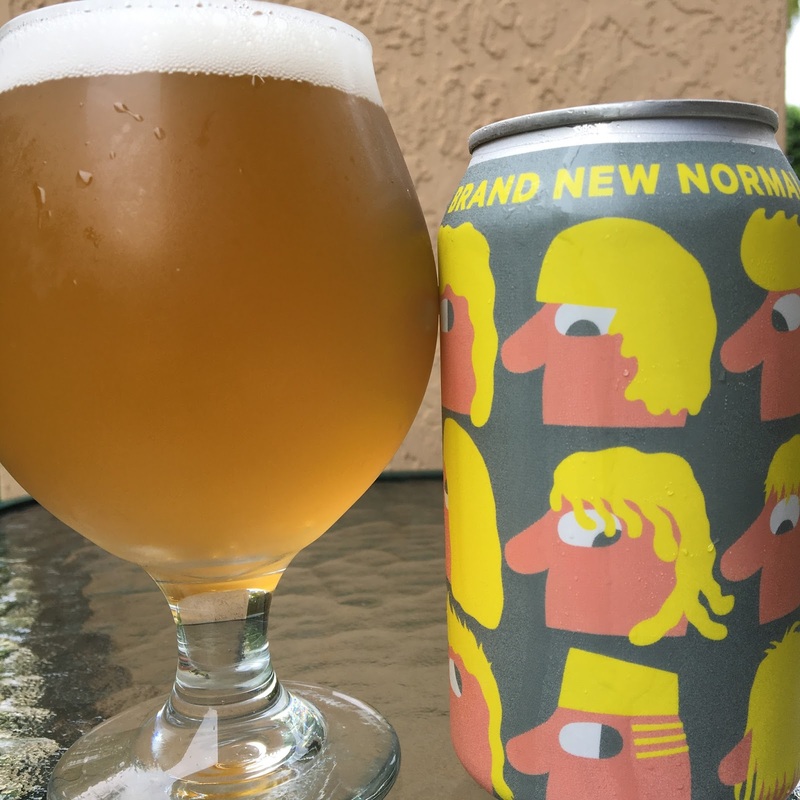 Brand New Normal is refreshing with nice lingering flavors.